Short Girls are definitely the most datable type. They are considered extremely lucky and the compatible type when it comes to relationships. Want to know why? 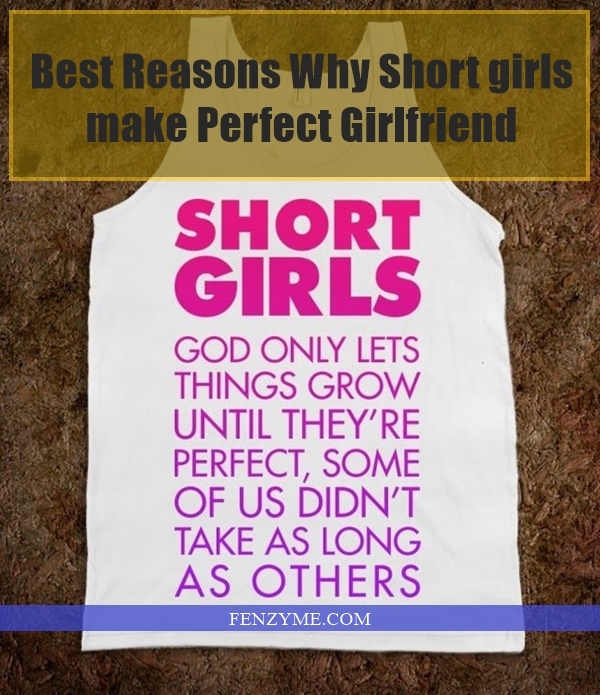 Below, we have listed some reasons why short girls make perfect girlfriends. To be noted, this is just a fun post so all you tall girls don’t mind please. Girls love high heels and stilettos. If a tall girl is wearing high heels she looks like a long endless pole. She might even end up looking taller than you. And that’s something that really hurts the male ego. No? So, when a short girl wear high heels she can come right to the level of your shoulders and that would make the two of you look so adorable. Short girls look more proportionate and feminine. Short girls have a higher degree of estrogen content in their body that makes them more feminine in comparison to tall girls. Moreover, they appear petite and fragile in comparison with the tall ones. Short girls look like a cute ball of fur especially when they are dressed in white. Thus, it gives an amazing feeling to hug them tight as you can just cover them up completely. Moreover, they come just at the tip of your shoulders so you can grab a chance to kiss on her forehead. Believe me guys she’ll just love it when you do that. It is easier to lift short girls in comparison with the tall ones. Short girls look more like pretty and cute adorable dolls because of their stature. Moreover, girls like being picked up in arms. So, if you have a short one you can carry her easily.